Slightly adjusting your recipe, baking time, and temperature will give you the cookie you're looking for. From chewy chocolate chip to coffee-flavored meringues, they're as easy to make as they are divine. 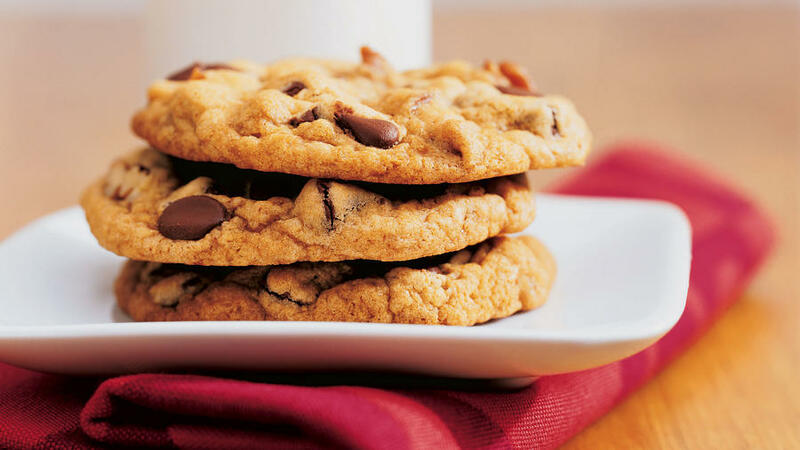 Mix, drop, and bake: That’s all you need to do to make the cookies in this chapter. So called because the dough is dropped by spoonfuls onto the baking sheet, drop cookies are what we turn to when we need a quick cookie fix. While most drop cookies are simple, homey rounds studded with nuts or chocolate chips, this category also includes fancier choices like thin, crisp lace cookies, chocolate-dipped macaroons, and easy meringues. • Measure the dough for the first few cookies as directed, then eyeball the portions for remaining cookies. • To ensure that cookies hold their shape, let baking sheets cool before baking the next batch of cookie dough. If you need to cool sheets off quickly, hold them under cold running water; dry before using. • Be sure to preheat your oven. Using an oven thermometer ensures that the oven is at the correct temperature for baking.